Being able to go to any revision of code managed by a Version Control System is a very important thing for a programmer. It helps us to see how our code is at that moment. In this tutorial, I will show you how we can pass the source code to any revision with Git. I will take the css-selector library with source code on GitHub at https://github.com/chrsan/css-selectors to illustrate this tutorial. First we need to update our source code to the latest version and then we will use the reset statement to make the move to any revision. 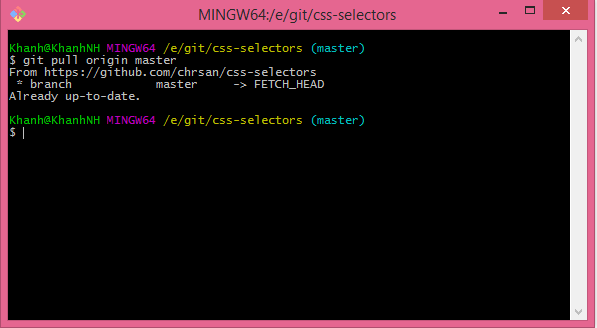 Right-click on the css-selector project and select Git Bash Here. 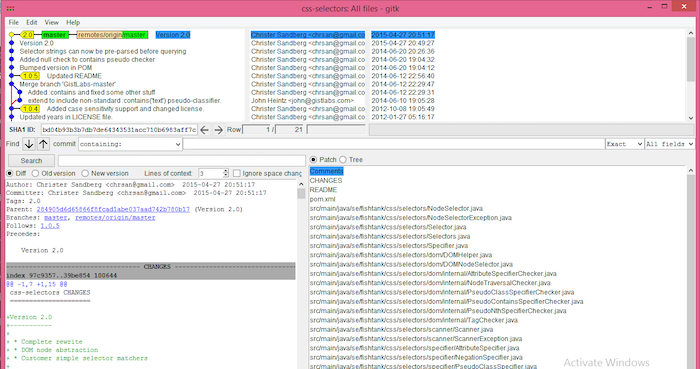 Using Git, we can see all the revision information we want to include in the source code. Right-click on the project and select Git Bash Here. Enter gitk in the command line, a new window will open showing the history of the css-selector library. For example, now we need to include the source code of the css-selector library to revision 0d7e377867307879d59c54963ba47811bef67158.